All of our China itineraries are tailor-made for each individual client, according to their requirements and preferences. We do not sell pre-packaged trips of any kind. However, to show you how some of our trips can fit together, and the kind of holidays that previous clients have taken, we have laid out here a few examples. These are for example purposes only and should not be taken restrictively. Your trip can include a combination of any parts of these itineraries - the only limitations are your budget and your timeframe! Experience the essence of China with this excellent itinerary covering Beijing, Guilin and Xi'an while staying in some of China's best hotels. The Peninsula Beijing is located in the Wangfujing District and you could not be better placed to visit the many sites and attractions of Beijing. Moments from the Forbidden City and excellent shopping, the Peninsula is one of Beijings most luxurious hotels with its excellent array of facilities.. Being just moments away from the East Gate of the historical Summer Palace, you are ideally placed in which to discover the culturally rich city of Beijing. The most classic and iconic of all of Asia’s hotels, the Peninsula evokes a 1920’s colonial grandeur in Kowloon’s Golden Mile shopping area. 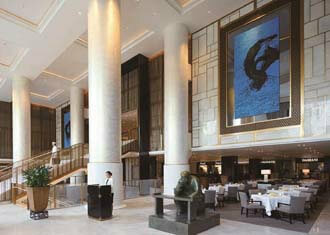 A stay at the luxurious Peninsula will definitely make your stay in Hong Kong a memorable one.